“Tomato Rabbis” send powerful message to Publix! 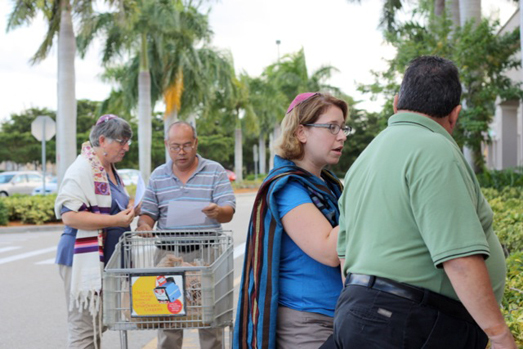 For fifth time, rabbis from across the country bring new energy, commitment to Immokalee — and call on Publix to join the Fair Food Program! Last week, we had the honor of hosting 12 leaders from T’ruah: The Rabbinic Call for Human Rights (formerly known as “Rabbis for Human Rights – North America”) here in Immokalee. They call themselves the “Tomato Rabbis,” (#tomatorabbis, in the social media world), and represent a rapidly growing cohort of Jewish leaders committed to the Campaign for Fair Food. It was, once again, a very rewarding exchange. T’ruah first visited Immokalee in September of 2011. Since that first delegation of 17 rabbis came to Immokalee, dozens more have crossed the country to speak not only with CIW members, but now also with the Fair Food Standards Council and growers participating in the Fair Food Program. 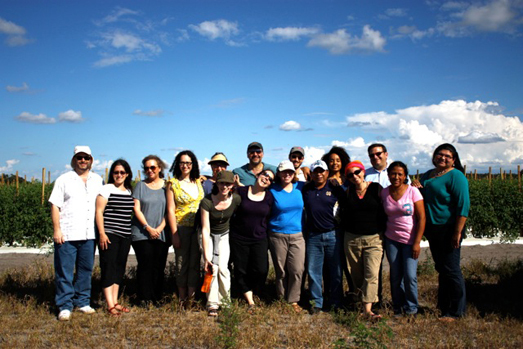 Most notably, over the course of the last two years, the Rabbis’ original mission of visiting Immokalee as the U.S.’s “ground zero from modern-day slavery” has shifted to seeking to understand the Fair Food Program, which has been called “one of the most successful and innovative programs” in the world today in the fight to uncover — and prevent — modern-day slavery. 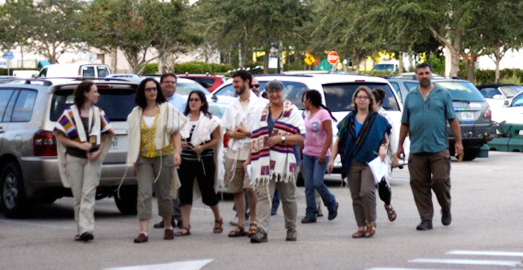 This year, the Tomato Rabbis continued the tradition of pray-ins at Publix. 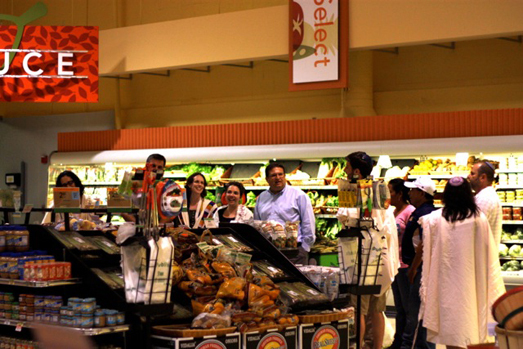 Wrapped in traditional prayer shawls, the rabbis entered the store chanting prayers, and encircled the tomato aisle. While ten rabbis continued their prayers, two more (pictured in the photo below) engaged consumers, explaining why they are calling on Publix to join the Fair Food Program. After three days in Immokalee, the rabbis finally headed home, armed with their deepened understanding of the Fair Food Program as well as plans of educational events to put on, sermons to deliver, and actions to organize. In other words, consciousness and commitment, which we all know are the key ingredients for change. To close: what does it mean to be a “Tomato Rabbi,” exactly? Let’s hear from some of the members of T’ruah through the inspiring tweets from their week here! Special to the CIW: Read the Publix Op/Ed the Atlanta Journal Constitution refused to publish!